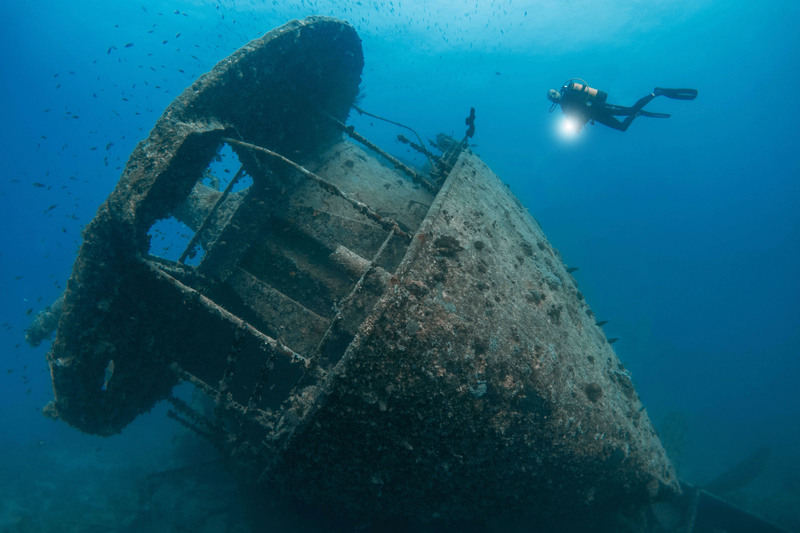 This route is certain to satisfy any diver interested in wreck diving. 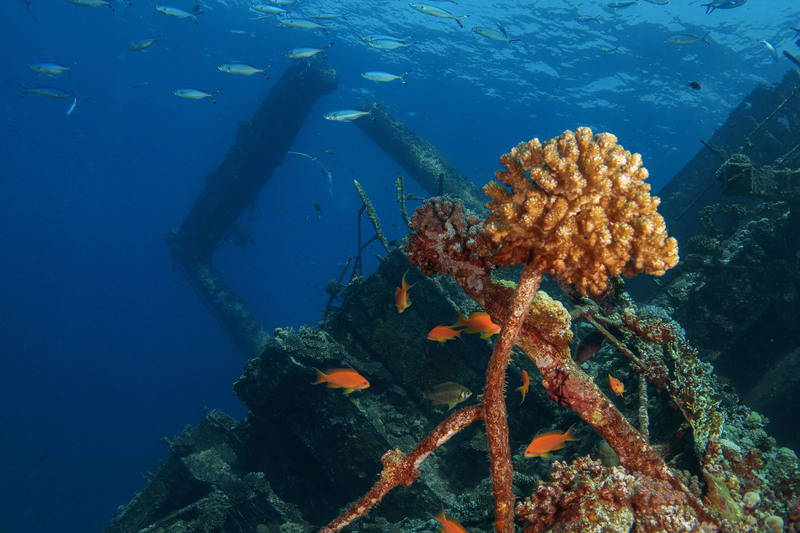 The astounding quality and scope of wrecks in the Northern Red Sea will not leave you disappointed. The strait of Gubal Sinai is peppered with islands and reef tips that have been the downfall of many a captain. 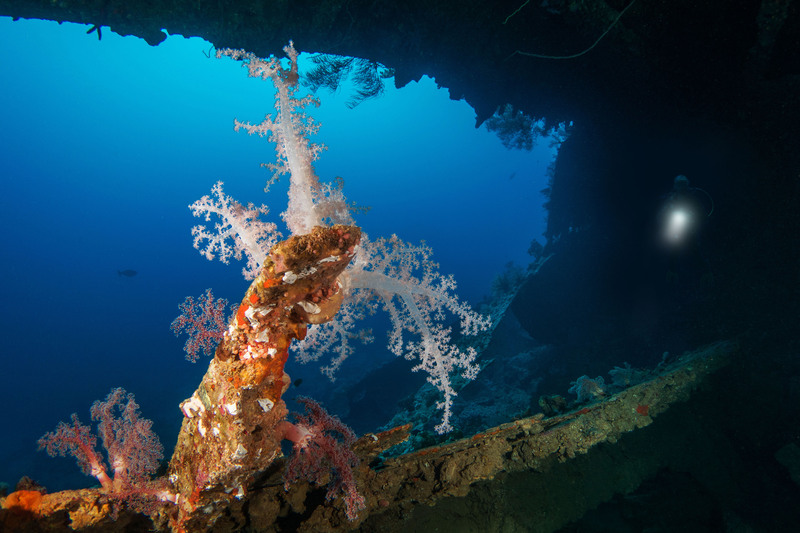 But these maritime mishaps have left a legacy that serves up the most fascinating and enjoyable wreck dives you could hope to experience. 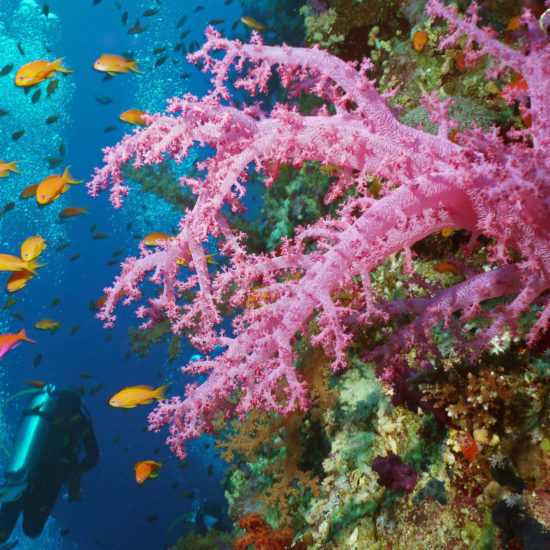 Best thing on this reef is the dolphins. Especially calm days with warm weather, dolphins is almost sure to pass by. If there is not too much people and they do not chase the dolphins, the dolphins swim to you. 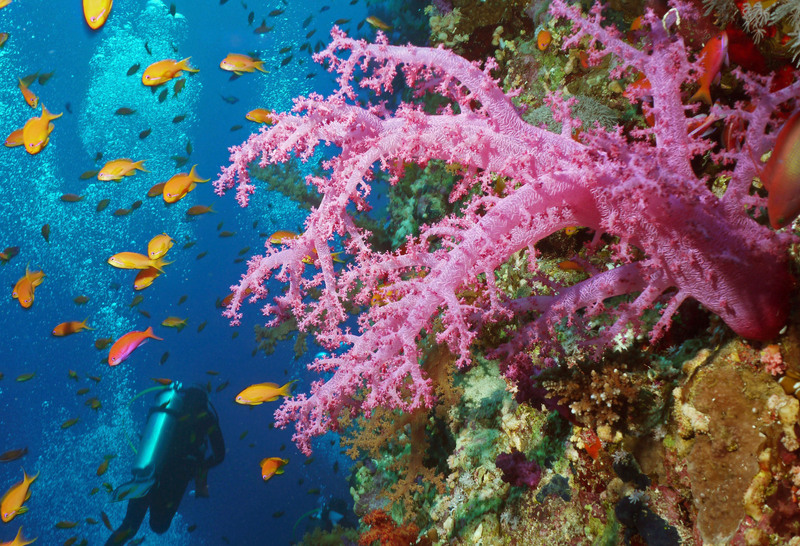 I have spent a lot of time swimming with dolphins here. 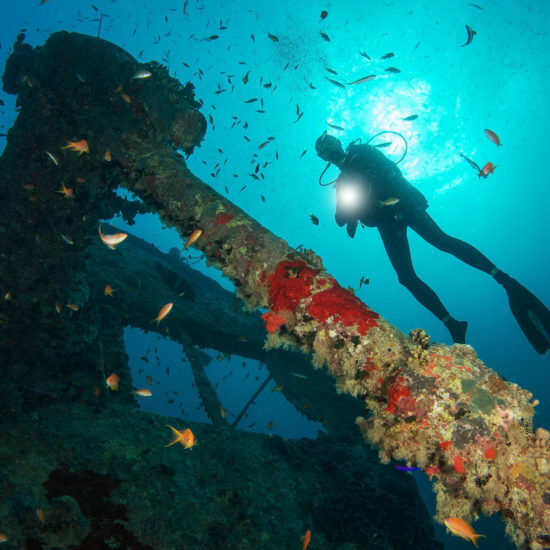 Abu Nuhas reef is famous for wrecks. 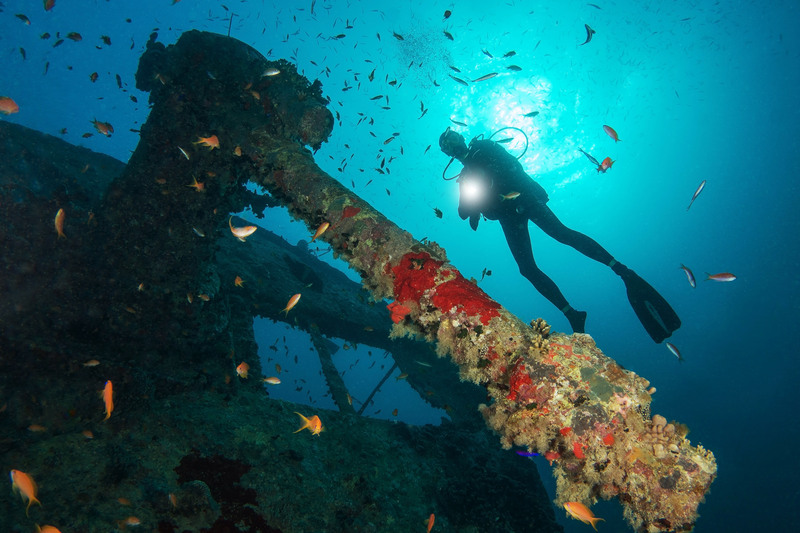 There are 4 wrecks here, which are today an attraction point for divers all around the world. 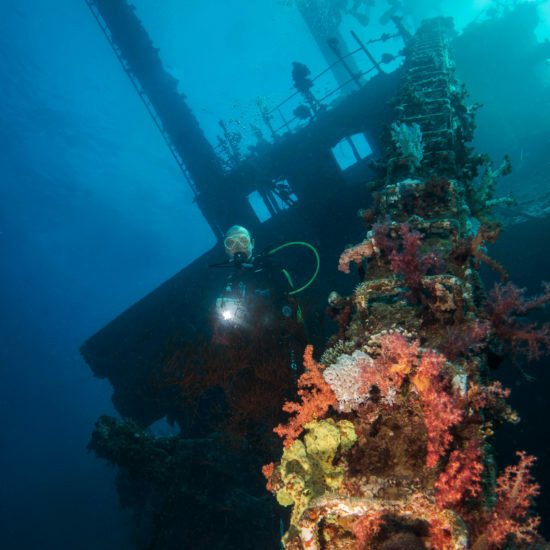 For example the Greek cargo ship Giannis D. which run aground the reef on 19th March 1983 and sank a short time afterwards. 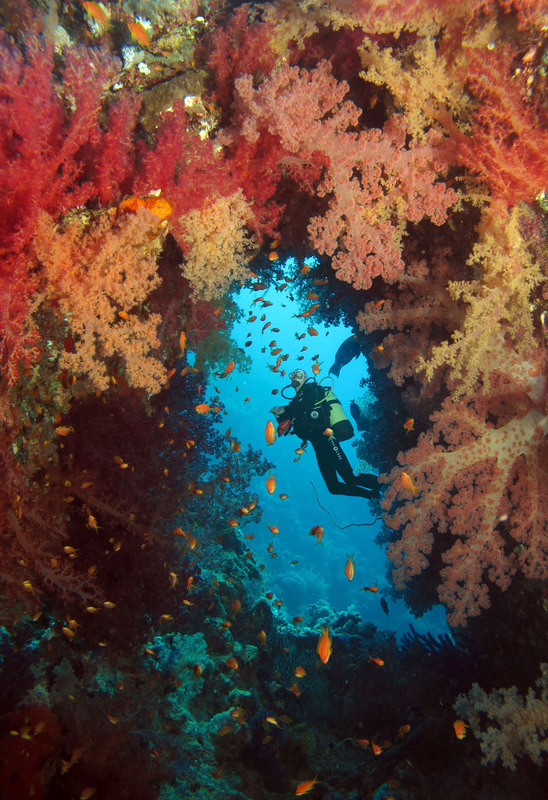 It is now lying in a maximum depth of 27 m and is overgrown with hard- and soft corals. 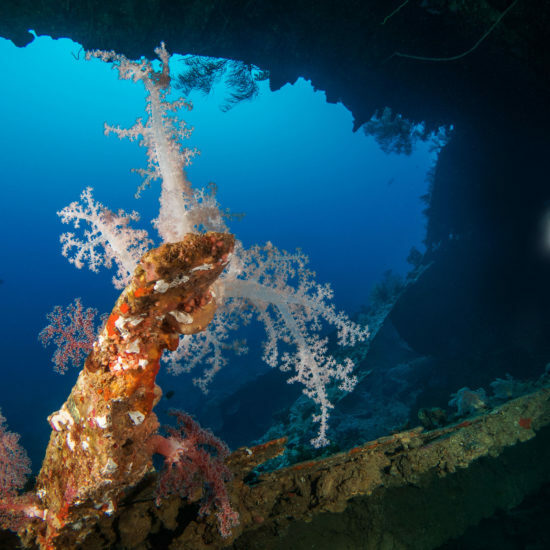 The Thistlegorm is probably the most famous wreck in the Red Sea. The British ship was on the way to Egypt to bring military equipment of all kinds for the British troops in North Africa. 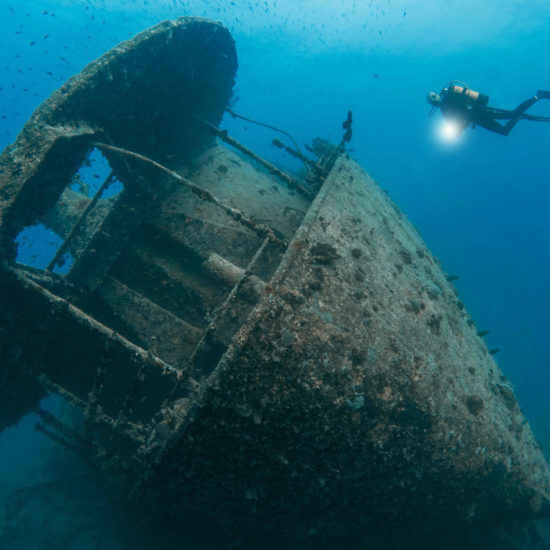 But then on the 6th of October 1941 a German bomber attacked the Thistlegorm. 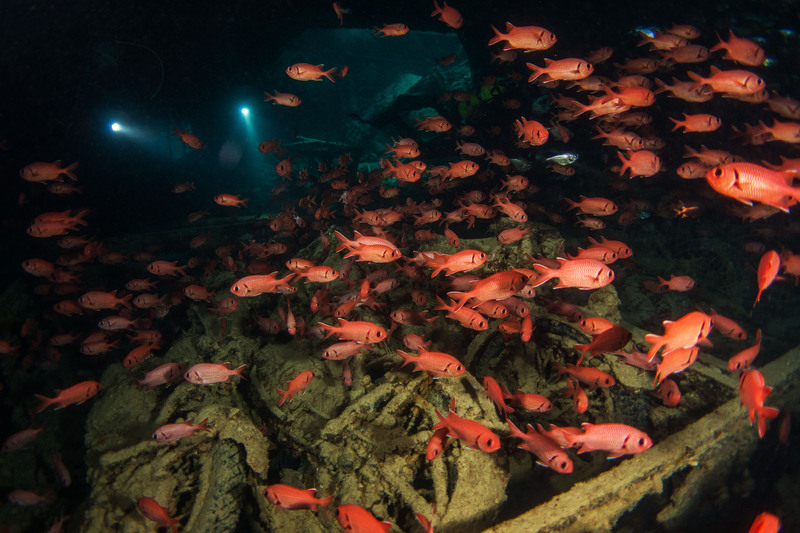 Now the wreck is lying upright on the sea-bottom at 30-m depth. Especially interesting is the cargo: tanks, trucks, motorcycles, weapons, railway carriage and one railway engine. 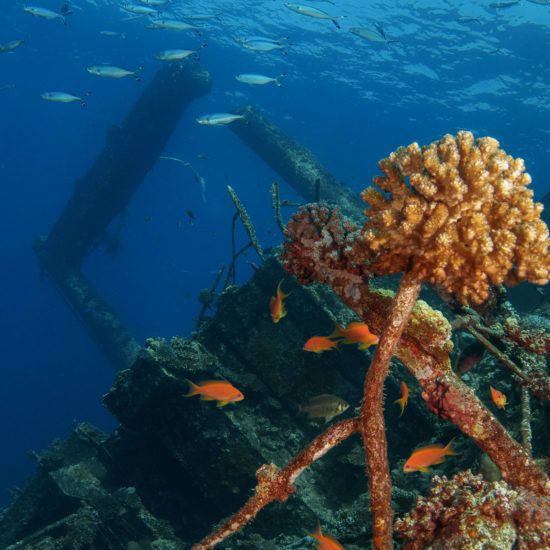 The wreck of this 72 m long English steamer lies at the southern point of Shaab Mahmoud, amongst the series of shallow reefs and lagoons. 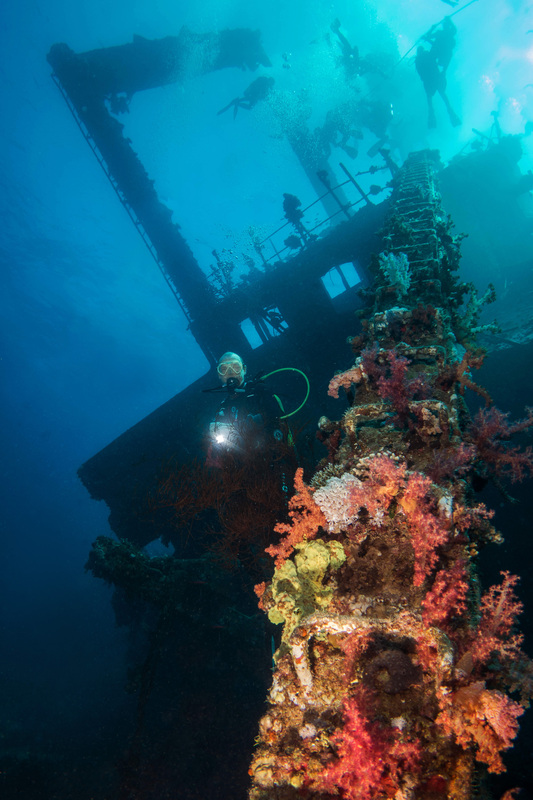 Sunk in 1876 on its way from Bombay to England carrying a cargo of spices and timber, her hull lies upside down at a maximum depth of 29m. 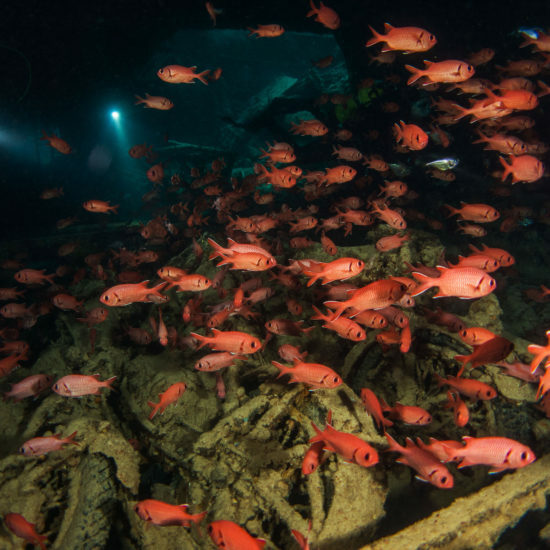 Completely covered in corals, the wreck has become home to a wide variety of marine life including glass fish, morays, groupers, goatfish and napoleon. 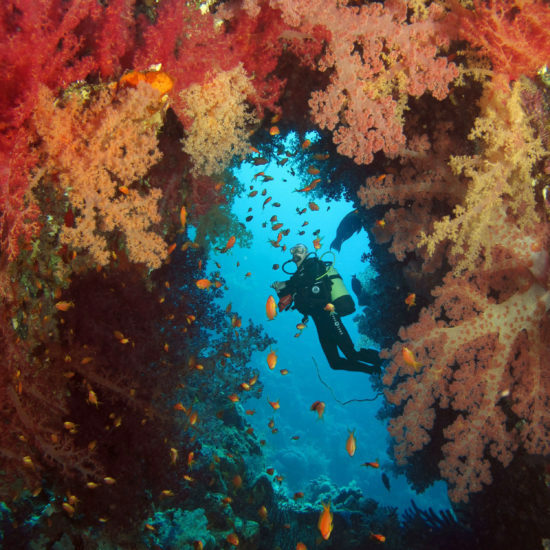 This is a world renowned dive site, situated at the tip of the Sinai. Two small ergs are joined by a vertical wall dropping into the abyss. 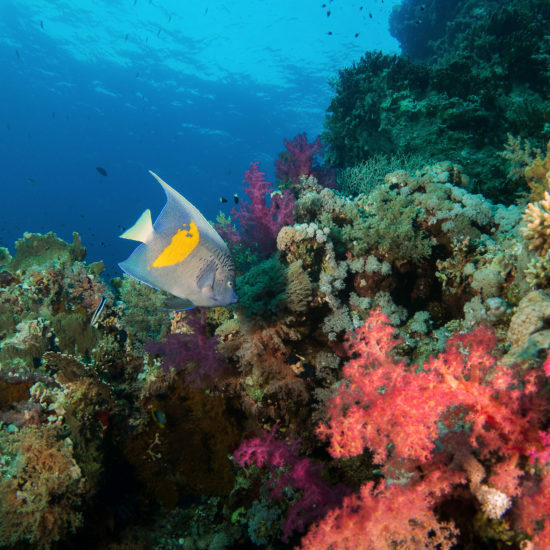 At Shark Reef the current allows you to drift along the wall, rich with colorful corals. 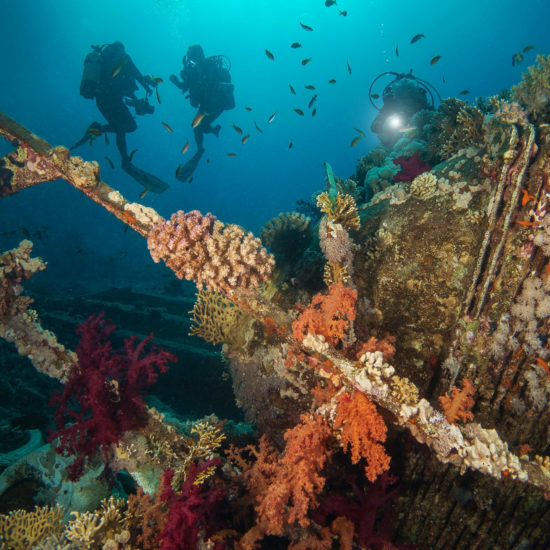 Moving towards Yolanda Reef you reach a plateau scattered with small ergs and coral outcrops. 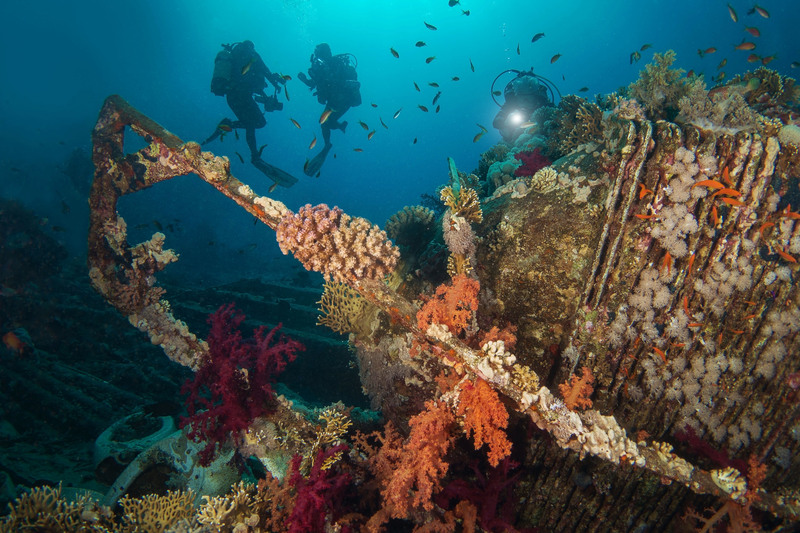 Continuing around the reef you will come upon the scattered remains of the wreck Yolanda complete with its cargo of toilets and baths. 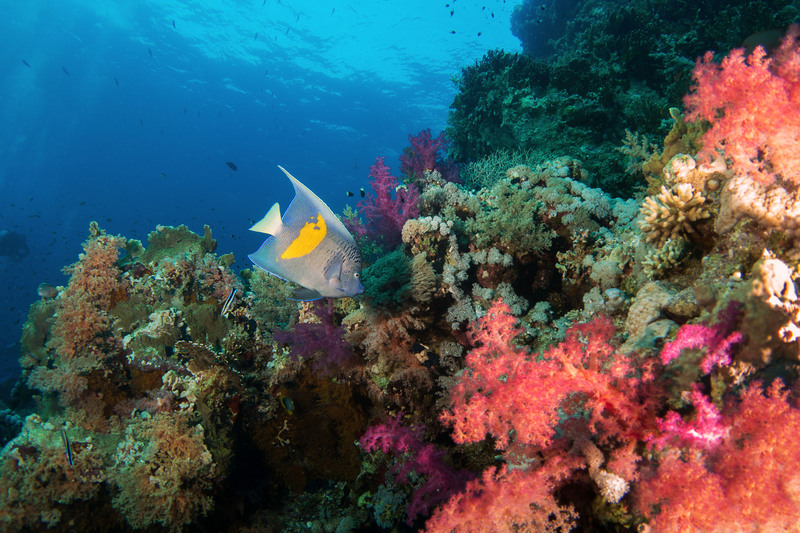 The whole of this area is big fish territory so keep an eye on the blue!